Teriyaki chicken is such a great flavor. I love teriyaki chicken in tacos. I used to work at a restaurant in SoCal and they had really great teriyaki tacos. Along with the teriyaki chicken, they used jack cheese, pineapples, lettuce and green onions. I wanted to recreate that taco but in an easier to make, easier to eat casserole. 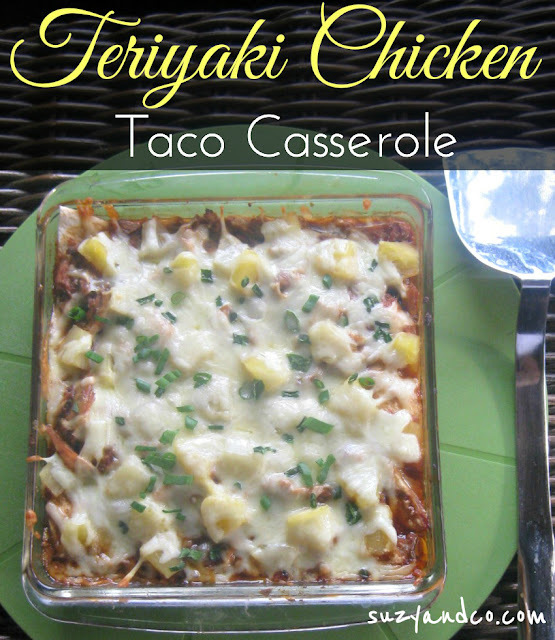 This teriyaki chicken taco casserole is exactly what I was hoping for. For this particular recipe, I used some leftover teriyaki chicken. I had made the chicken a different day and had leftovers. The chicken was shredded and was mixed with teriyaki sauce, but it was not drenched in teriyaki. I think too much teriyaki would be way too sweet. I made a homemade teriyaki sauce, where I used less sugar, but I have not had a chance to recreate it for the blog. A homemade sauce would be so much healthier. Too many sauces you buy at the store have sugar as the first ingredient and usually high fructose corn syrup at that. Spray a 8 x 8 square casserole dish with non-stick spray. I like this one. Take a tortilla and cover the bottom of the dish. Depending on the size of your dish you may have to cut the tortilla to make it fit a bit better. I cut them at first in strips but then realized that the size fit almost perfectly. So I didn't worry about the corners. Next take a scoop of teriyaki chicken and layer it in the tortilla. Sprinkle some pineapple bits on the chicken ~1 tablespoon. Cover the layer with jack cheese. Repeat the layers again starting with the tortillas until you reach the top of the dish. My dish was about 2 inches and I did three layers. Cover with aluminum foil and place in the middle rack of the oven. Bake for ~30 minutes, until the cheese on top is melted and bubbly. 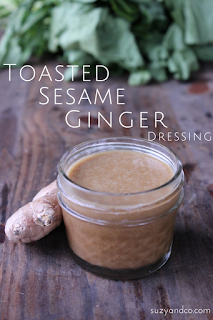 This would be great with an Asian inspired salad and my toasted sesame ginger dressing!